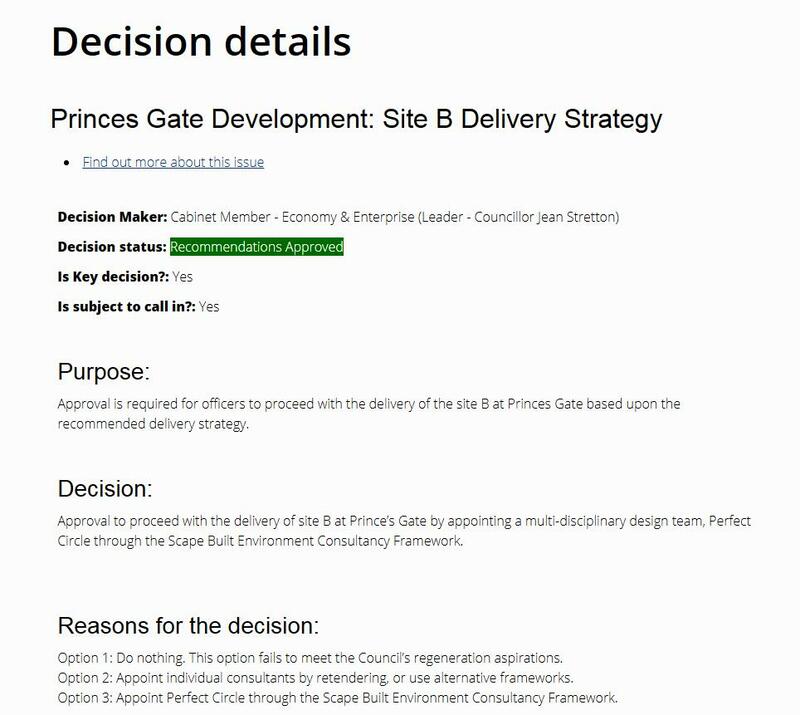 It is nine months since Oldham Council leader Jean Stretton was scheduled to announce a delivery partner for Prince’s Gate version 2 after version 1 which was originally due to open in 2017 failed & still she has said nothing. On the quiet and without the usual press release fanfare and in direct contradiction to constant budget pressure complaints and cuts to services the Council have decided to saddle Oldham taxpayers with the cost of building an hotel at Mumps as part of the ailing Prince’s Gate scheme. This is in addition to the hotel they wish to build at the old magistrates court as part of the arrogantly titled “Masterplan” after already wasting £420,000 of public money on the failed Hotel Future scheme on the Civic Centre car park.